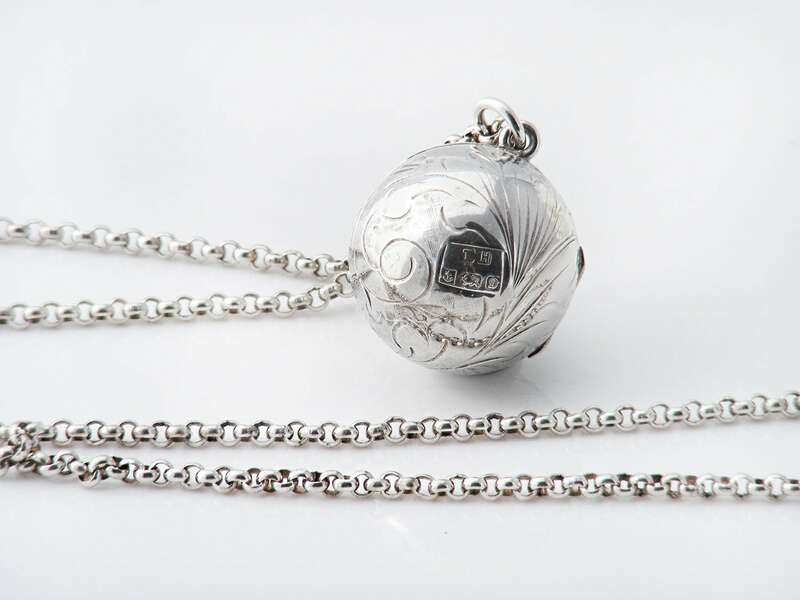 An intriguing vintage sterling silver ball or orb locket with a design of Forget-Me-Not flower and scrolls. 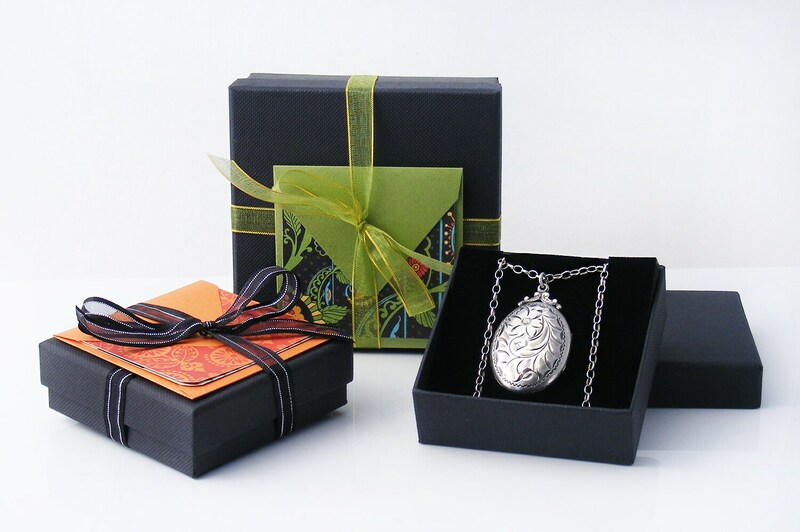 The locket is smooth and lovely to handle and tightly sealed with a join that is barely visible. 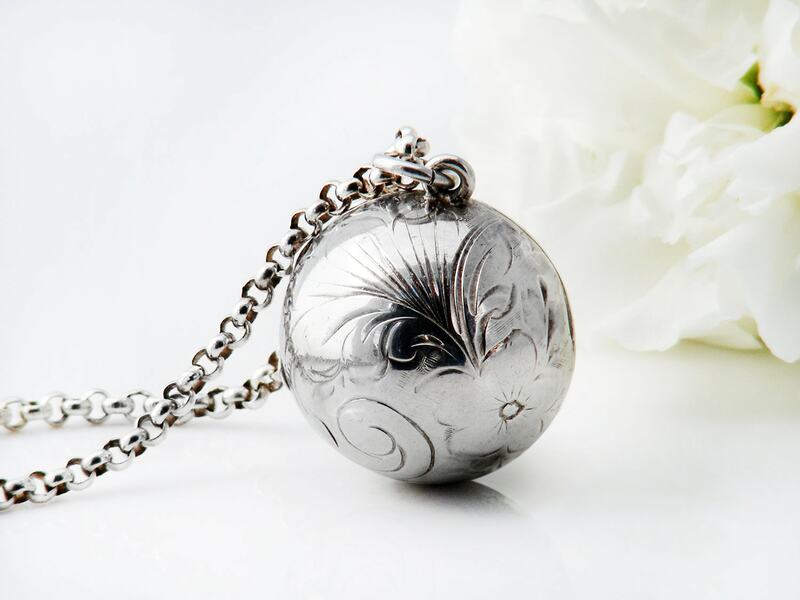 The locket has all over foliate engraving with full hallmarks for Birmingham, England and the 1978. The maker's mark 'TH' is also present. The inside has both original silver photo rims in place with celluloid covers and original 70s striped lining papers. 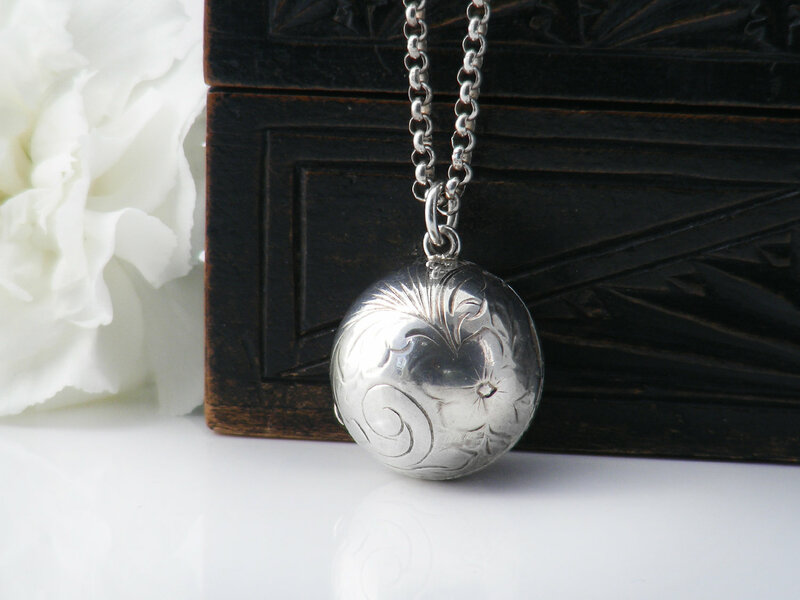 Locket Size: a .8inch or 20mm sphere. Weight: 13.4 grams including the chain. 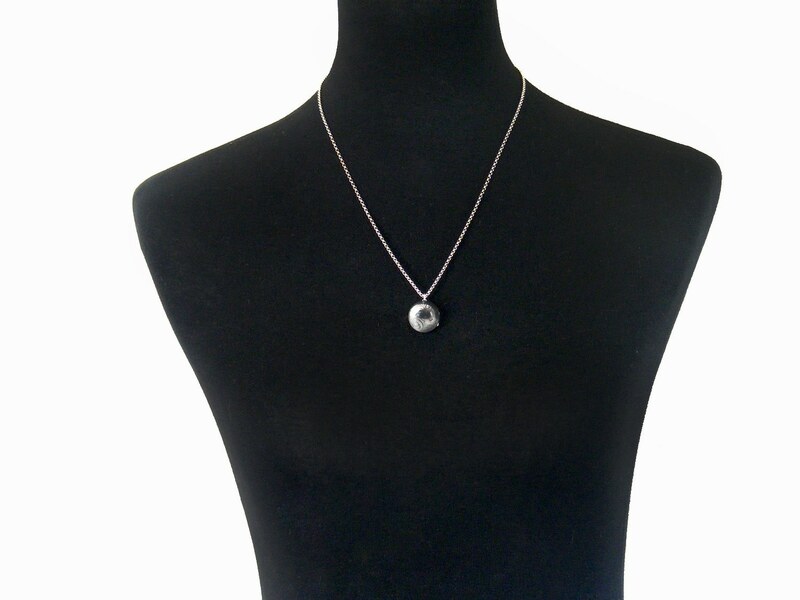 Chain: Original to the locket, 22 inches or 55.8cm long, with a 2mm rolo or belcher link - unmarked but testing very strongly for 925 sterling silver. Shown on a life size torso in image #3. Condition: Excellent. 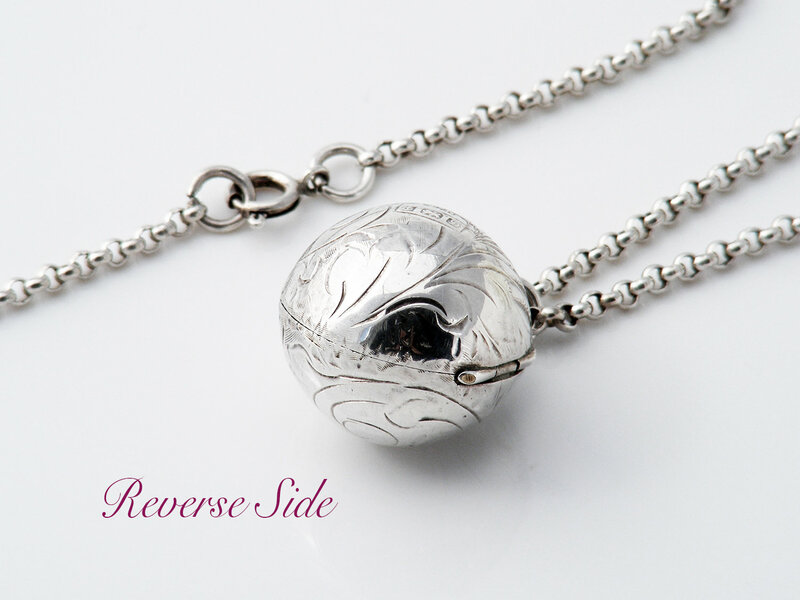 There are no dings of scratches, the hinge is strong and the locket closes with a nice snap and stays tightly shut. 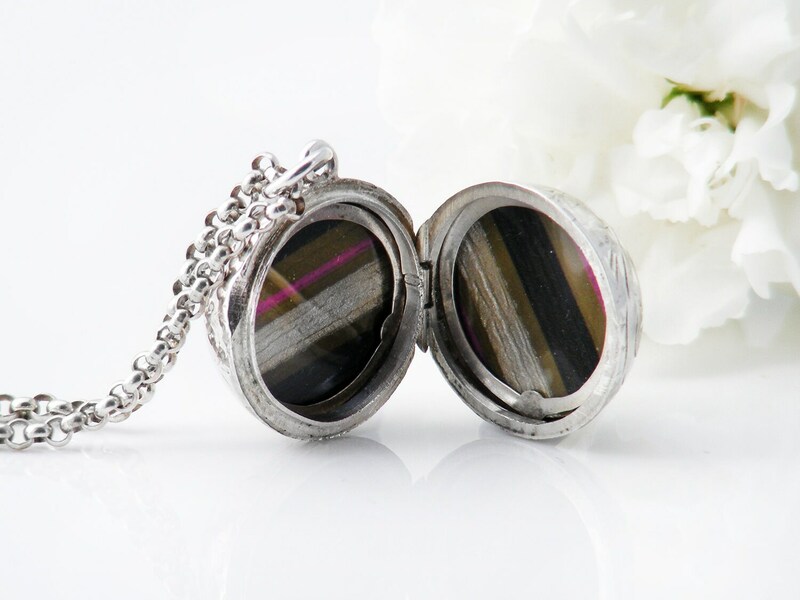 I love orb lockets and they are very difficult to find - I snap them up as I find them!